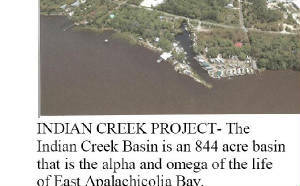 An interesting article about Indian Creek in the life of Sportsman's Lodge. YOU CAN CLICK ON THE PICTURE TO DOWNLOAD ADOBE 8, and then see your article. After downloading adobe 8 you can download this file. Hope you enjoy a part of the life of Sportsman's Lodge in Eastpoint Florida.